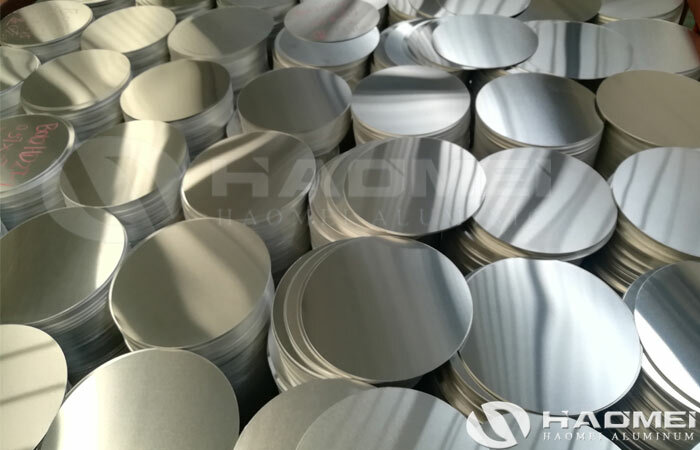 Aluminium circle price is not very high because it is a kind of products obtained through deep processing of aluminum plates. 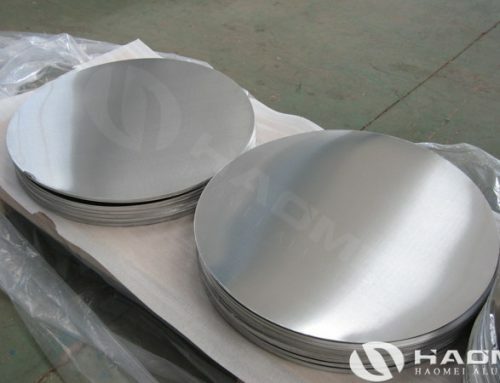 The demand of aluminum circle disc in the market is relatively large. 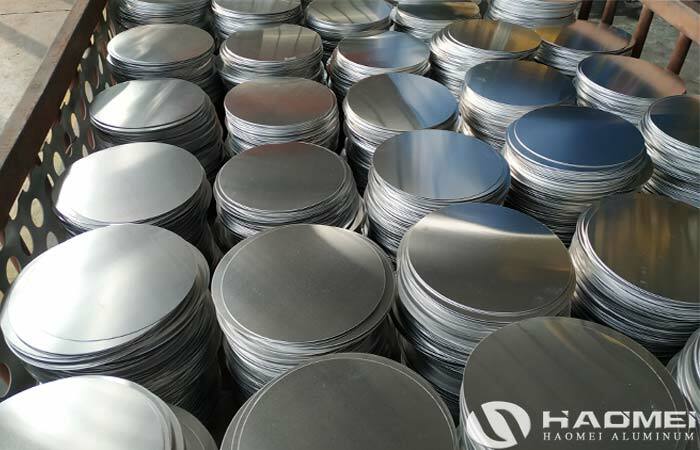 Most of aluminum discs manufactured by Haomei aluminum are exported to all over the world. 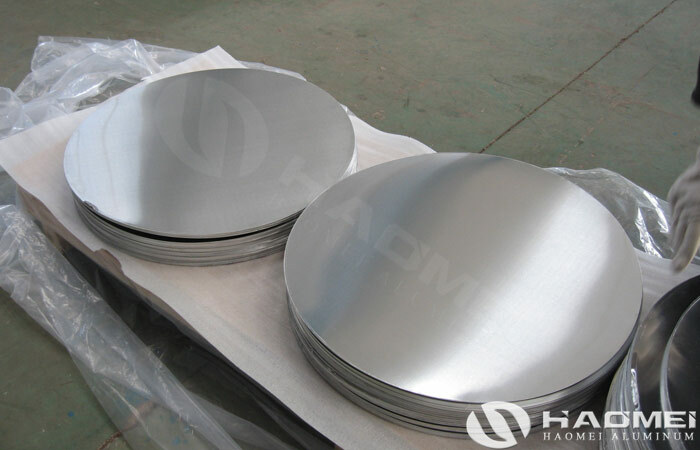 Aluminum round plate surface is bright and beautiful, and it can be shaped and do surface treatment. The use of aluminum circle sheets has increased in recent years. 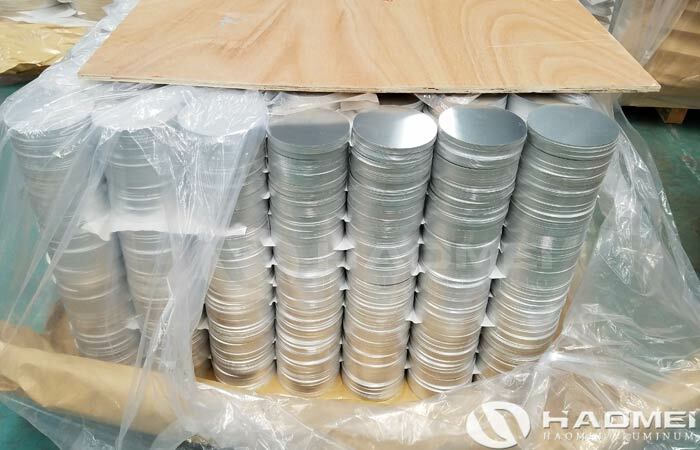 Aluminum discs are widely used in electrical appliances, insulation, machinery manufacturing, automotive, aerospace, military, mold, construction, printing and other industries, such as kitchen utensils like non-stick pans and pressure cookers, etc. 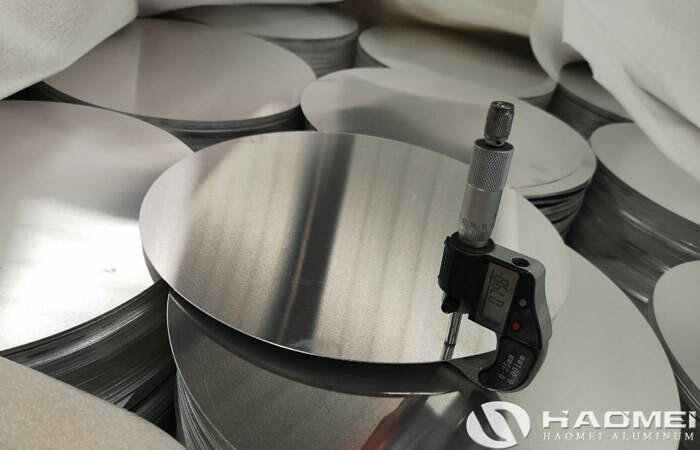 As well as hardware supplies like lampshades and water heaters, it is one of the deep processing aluminum products. 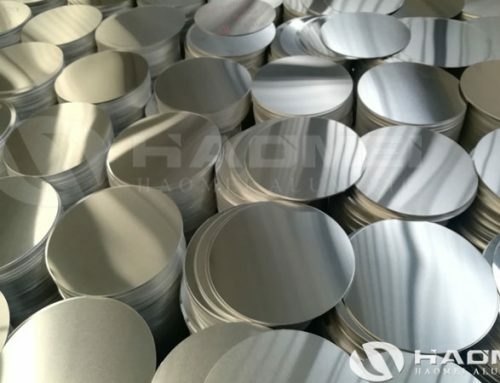 The other application of aluminum round disc are lamps, lampshades, cooking utensils, aluminum pans, aluminum pots, aluminum basins, electric kettle thermal chassis, rice cooker liner, smokeless pot, fine pan, European pots, non-stick pans, aluminum bottles, aluminum barrels, road signs, some aluminum containers, capacitor aluminum shell blanks. 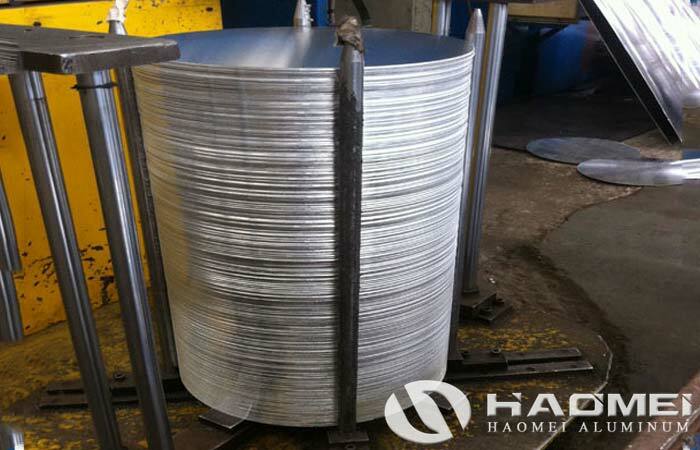 The temper of aluminium circles are O, H12, H14, H18, H24, hard temper, soft temper and stretchable temper. The common grades are 1060,3003,5052,8011,1050,1070,1100, cold rolled material and hot rolled material. The thickness is 0.3—10mm, the diameter is 100—1250mm. 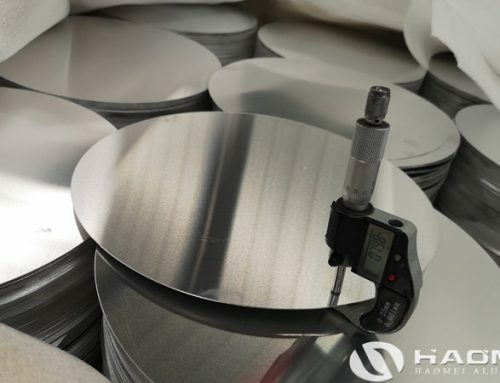 The common aluminum discs are 1050-o aluminum circle or 1050 semi-rigid. This temper is followed by stamping and spinning in the later production process. Therefore it will not crack. The electric appliances and pans produced by aluminum have good heat dissipation, do not rust, have light material and long service life. 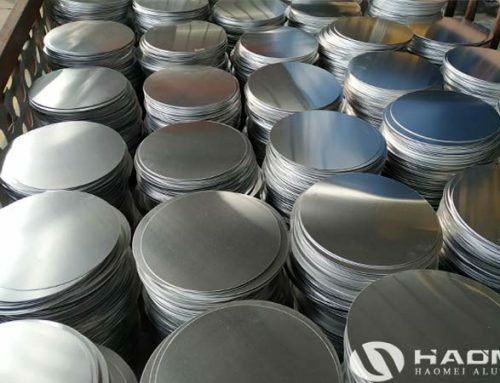 Haomei can independently produce aluminum wafers which equipment such as rounding machines, circular knitting machines and annealing furnaces, we can guarantee the high-level quality of aluminum circles. 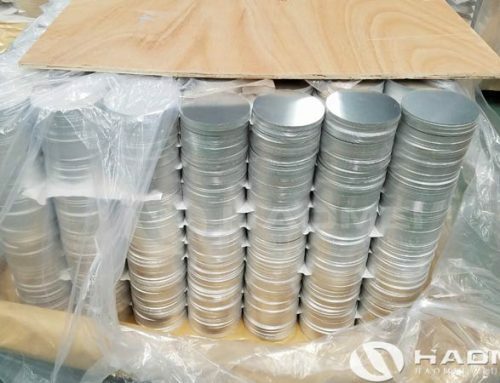 At the same time, the aluminum circle price of Haomei aluminum is reasonable because we look at the product quality and customer service first and the profit second.